1. I started working. I now work part time (3 days a week) and go to school. This has been an interesting change to say the least. 2. We saw (another) new doctor concerning Ben. This one seemed to think that if we cut down on his feeds then he will eat more... NOPE. We go back next week to see what other brilliant ideas this man has to offer. So now, he isn't eating. He doesn't get enough calories from his feeds to help him grow and to top it all off - he has gone back to his old sleep habits. Or I guess, it should really be called lack of sleep habits. I am at a loss. I don't know what to do, who to see or how to deal with it all. 3. Will on the other hand is doing really well. He tried out for a part in the school play. He starts baseball in a few weeks and has decided he want to play football... I can't believe how fast he is growing up. 4. We started going to a new church. This is the first time, I have gone to a church that my parents didn't go also attend. I loved it. The kids had a great time and are so excited to go back. 5. We are dogless (again). The cute little Yorkie is now at a new home. I am sure he is much better off. I feel like so much more has happened... but apparently, it must have not been too big of a deal. I AM GOING TO BE AN AUNT AGAIN!! My baby brother and his wife are expecting their first baby at the end of September. I could not be happier! I love, love babies and love the fact that this one will not belong to me. All the fun, none of the work! And once again, it has been a super long time since my last post. I will warn you now, this post in a little long and a lot random. As a result of the colds/sinus infections we have all had, we had to take Ben to the doctor. It was there we learned he not only had a sinus infection but has also lost more weight. I am lost at this point. We went with the feeding tube over the summer to avoid this very thing. So, here we are back at square one. We have an appointment with a developmental pediatrician the 24th of this month. I am hoping she will be able to provide some answers. We will see. Until then, I am recording every single detail of his day in hopes that we will see a pattern to his days and his actions. The spring semester has started for me. As I get closer to finishing, I find myself feeling very scared and overwhelmed of all that will be expected of me. I know teaching is what I want to do. I just hope that I will be successful at it. And with all the turmoil surrounding the school districts here, I am afraid I will not be able to find a job. In the meantime, I am just going to focus on my classes and take it all one step at a time. My darling husband bought a new (used) truck. I realize most of ya'll don't know him and are probably thinking, "OK. So..." But those of you who do know him are sharing in my pain. This is the 3rd truck he has had in 5 years. We were so close to paying off the one he had! I didn't think the "New Baby" would bother me so much. And I do have to admit, it is a nice truck. I just felt like we were finally making some progress with our debt. Then he went and did this. I realize I could have put my foot down and told him, "No" but, it he works so hard... Either way, one of us is unhappy. Marriage is full of compromises. I can't believe Christmas is just 4 days away! I am so not ready... I still have gifts I need to buy and presents to wrap. The boys are of course super excited. I am afraifd this will be the last year Will believes in Santa. I can tell he is very skepitcal of the whole thing. He asks very specific questions and I am running out of answers. I guess we will just cross that bridge when we get there. I hate to think he is growing up. It has gone by so fast. I hope to finish what I have left to do (other than the wrapping) today. I absolutely dread going anyhwere near the mall but it is unavoidable. I have set a deadline for myself. If it is not bought by today, I am not buying it. I have a tendency to just buy and buy right up until the last minute. I am not going to do it this year. I WILL STOP! I will enjoy the days before Christmas instead of rushing around. I got the idea for this post from Lindsey. Thanks Lindsey! With Christmas right around the corner, it is so easy to focus on what I want. It is far too easy to look at what everyone else is doing and think "I wish..." I wish I had more money to spend on gifts. I wish my house looked like so and so's. I wish... I wish, I wish. I lose the joy that should be in the season. After reading Lindsey's post this morning, I was reminded of all that I have to be thankful for in my life and of all the reasons I have to be joyful. (And I do have so many) Some of them are deep and thoughtful; others are just things that make me happy each day. These are just a few of the things I am thankful for and the bring me joy each day. There are many, many more. I hope that as Christmas draws near, you are able to take just a minute and think about all that you have been blessed with. Beginning to Look a lot like CHRISTMAS!!! I can't wait any longer. 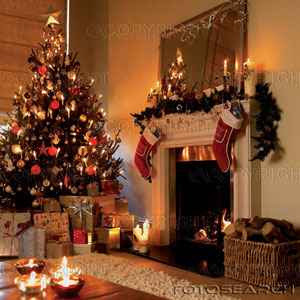 I am going to put up my Christmas decorations today. I have been ready to get them out since the day after Halloween. I think have been pretty patient based on that fact. On another note, duck season opened today. My dear husband is in Arkansas "busting some ducks". Poor little Ben just doesn't understand the idea of hunting. He keeps saying, "When Daddy gets home I'm gonna to have a pet duck." I am trying, as delicately as possible, to explain that the ducks daddy brings home won't be pets. As much as I love my husband, I am always happy to see the start of hunting season. This is a crazy time of year with the holidays and exams. It is nice to have Matt occupied. I am excited about being home today and hopefully getting somethings done. I can tell you right now, NOTHING has been going on here. Just life as usual. Instead trying to fill ya'll in on 2 months worth of nothing, I am just going to start fresh. We are all back into our "school" routine. It did not take nearly as long to adjust as I thought it would. My classes are totally going to kick my tail this semester. I have already had three projects due and we are just over a week into class. So much for easing us back into things. I am afraid we are all beginning to get sick. Nothing serious, just the typical quarterly colds. You know, just sick enough to feel bad but, nothing that requires and antibiotic. My doctors famous words, "It just has to run its course". Gee, thanks doc. 1. I ask him what he wants. 2. He doesn't tell me. 3. I guess and get him something he has mentioned. 4. He opens it, laughs and says, "Thanks dear". 5. He takes it back. This happens every holiday, birthday and gift giving occasion. For 5 years, it has been like this! I don't know why he can't just tell me what he wants. I mean, I have no problem telling him what I want. And lastly, I need ya'll's advice. Ben has a "friend". Sometimes she is with us and other times she isn't. Sometimes when we are out she just appears. We set a place for her at the table, buckle her in the car and open her door. This has been going on for about 3 months. I have no problem with the whole imaginary friend situation. I know it is a developmental stage. I don't mind setting a place for her, opening doors, bathing her... My problem is this. Yesterday, I picked him up from school and he tells me we need to pick up his friend. I say, "okay", thinking she will just appear like usual. We pick up Will and head home. Ben again says we need to pick up his friend. That she is by karate (which is no where close to where we are). I try to spin it and say that she is already at home. Of course, he says she isn't. He gets upset. What do I do? I mean, I have my limits but at the same time, if she is real to him, I don't want to leave her stranded. Help!!! I am a stay at home mom with two wonderful boys. I have an amazing husband. He does whatever he has to so that I can go to school and be home with our children. God has truly blessed me beyond anything I could have ever imagined.